Skittles: It’s Not Knowledge. It’s the Shift. We often hear “knowledge is power.” While it is true that knowledge can be power, when it comes to change, knowledge alone just doesn’t get it done. Recently, I was engaged in a conversation with a well-known executive coach whose niche is CEO-only coaching. We were working on leveraging his work and the leadership of his clients through the introduction of coach training to the management teams his clients lead. Seeing coaching skills more extensively and properly deployed into organizations is a particular personal passion. He asked for a seminar and I walked him through why seminars don’t have the effect of changing behavior. 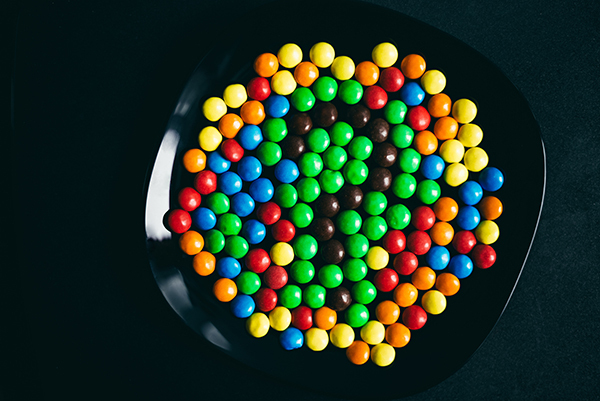 The conversation continued and kept circling back to the need for the training to be efficient – “get here and get it done.” Then came the Skittles. Throughout the conversation, I had been eating from a bag of Skittles (one of the big bags). Reaching in again, it dawned on me. It’s not about knowledge. Results come from change of behavior, not from simply knowing what’s right. I pointed out that I am fitness focused, married to an athlete and wellness coach, studied Nutritional Science in college and am pretty focused on maintaining a healthy diet. I know about empty calories, the pitfalls of blood sugar spikes. I have knowledge, yet I reach for Skittles (a few times). It’s not about knowledge transfer. Proper and effective training is about the behavioral adoption of knowledge. Power comes not from the knowledge but from the shift and resulting change. We call it “walking the talk” at CTA. But to walk the talk you need not recognize and describe the act or art of walking. You need to move your legs often enough in a regular pattern to insure the motion of walking becomes second nature. Therein lies the power of extended coach training – regular, effective, guided testing of knowledge-based skills until the knowledge becomes a proficient, natural and powerful skill. In coaching, it’s not about knowledge, it’s about shift and resulting changes in behavior. Author: Chris Osborn is the President of Coach Training Alliance. His lifelong learning includes experience as CEO of a large financial services company and founder of several growth oriented service companies.